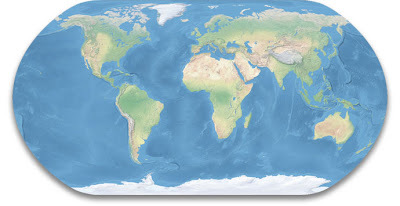 GDAL2Tiles is a command line tool that allows easy publishing of raster maps on the Internet. The raster image is converted into a directory structure of small tiles which you can copy to your webserver. GDAL2Tiles is included in GDAL/OGR 1.5.0 release. GDAL2Tiles is compatible with the Tile Map Service (TMS) Specification. TMS has been proposed as a standardised way in which map tiles are requested by clients and how servers describe their holdings. TMS is not an "official standard" and is currently managed by the Open Source Geospatial Foundation (OSGeo). The specification is based on multi-resolution image pyramids. Tile maps are composed of a set of scale-appropriate cartographic renderings, each divided up into regularly spaced image tiles. If the supplied raster map uses EPSG:4326 projection, GDAL2Tiles also generates necessary metadata for Google Earth (KML SuperOverlay). When the user is zooming or panning tile maps, only the tiles not currently in memory are requested from the TMS server. No special server software is needed if all map tiles are pregenerated. I’m here showing how you can use GDAL2Tiles to generate map tiles of Tom Patterson’s Natural Earth II. This is a beautiful raster map that portrays the world environment in an idealised manner with little human influence. The map can be downloaded on this page. I’m here using version 2C. 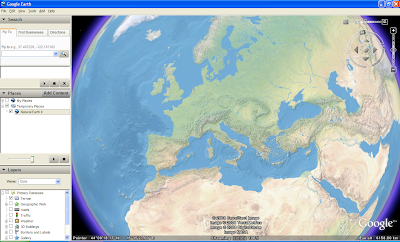 See the result as a KML SuperOverlay in Google Earth or in Open Layers. There seems to be a problem that OpenLayers can’t georeference TMS map tiles. It is therefore difficult to combine a map tile layer with other map layers. UPDATE 2 APRIL 2008: The OpenLayers example above is now working properly thanks to Christopher Schmidt. 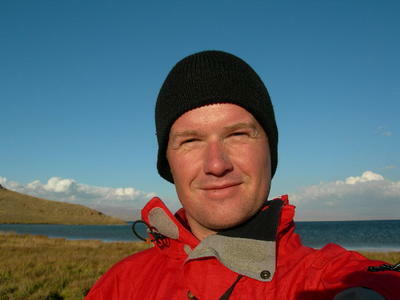 Bjørn, Thank you for this interesting post. May you show me the way how to use/implement this tiles cache with WMS-servers. Maybe WMS-C server? I have MapServer installed on my computer, but i don't know what to do. Pure WMS-service is render new images, but i want to use tilecache. I am newbie in OGS, so I need a tutorial. I have so far no experience with WMS tile caching, so you have to search the web to find a solution. File "../gdal/gdal2tiles.py", line 128, in ? How can I get or install the module gdal, I cannot find such a module in the FWtools or in the gdal build directory? I got some error. error message is about the gdal 1.6 + requirement. But I don't know How to upgrade. Please check the http://www.maptiler.org/ website for updated version of the GDAL2Tiles with the GUI and installer. It is a free and open-source project. The tutorial written on this blog is not anymore valid because there is a new version of GDAL2Tiles. For similar results you should use the "Image Based Tiles" in the GUI or "-p raster" option for the gdal2tiles. If anybody would like to use GDAL2Tiles command line utility under Windows then consider to install OSGeo4W instead of FWTools. Thanks for this post. GDAL2Tiles is exactly what I need. I've been serving customized weather maps to astronmers for a couple of years using UNM Mapserver but the time has come to switch to Google Maps. This article will help me figure out how to tile my GeoTiff images and more importantly how to properly feed the tiles to Google code. You make it sound easy. Here is the step by step guide for GDAL2Tiles and world maps like Natural Earth updated for new version of GDAL2Tiles. Thanks for sharing this information. It support me a lot upon generating mapping tiles and can easily figure out on it’s probably result especially if I’m availing the services of tiler perth. File "C:\OSGeo4W\bin\ppgdal2tiles.py", line 11, in ? This is eerily similar to the error I had when I had to switch from FWTools to OSGeo. Does anybody have any advice on what could be wrong? Thank you so much for awesome blog, can you please share links to download raster images for place labels and points like country, city, river name... I don't know the resource to download these.. do you know where I can find raster which is similar to google's satellite view. I read manpage unfortunately I didn't understand the meaning of it. I know this is an old, old thread, but I'm struggling and looking for help. I'm looking for the free software / open source version of MapTiler. Is it still around anywhere?